The great blue heron (Ardea herodias) is a large wading bird in the heron family Ardeidae, common near the shores of open water and in wetlands over most of North America and Central America, as well as the Caribbean and the Galápagos Islands. It is a rare vagrant to coastal Spain, the Azores, and areas of far southern Europe. 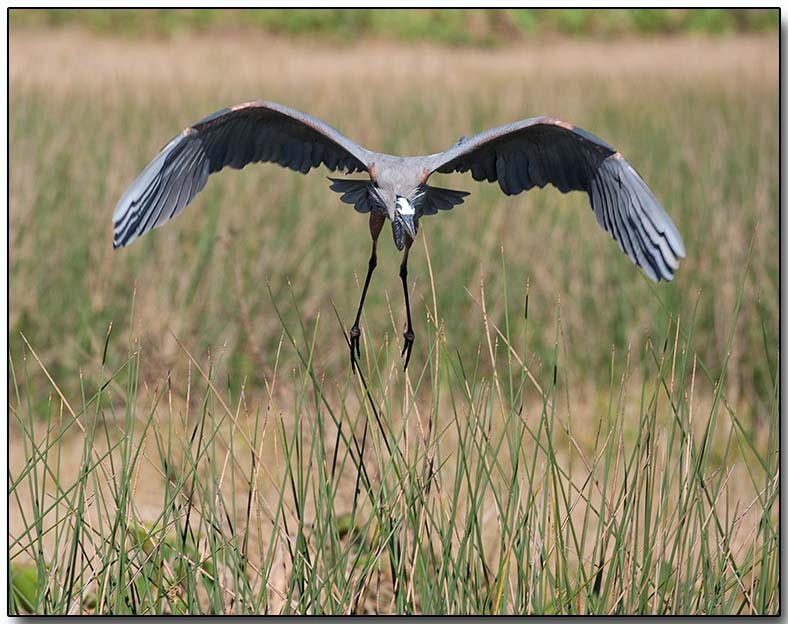 The primary food for great blue heron is small fish, though it is also known to opportunistically feed on a wide range of shrimp, crabs, aquatic insects, rodents, and other small mammals, amphibians, reptiles, and birds.